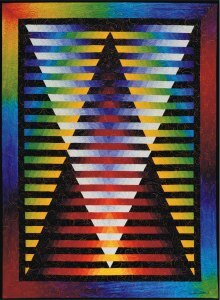 This quilt is part of a series of quilts, exploring the illusion of overlapping transparent triangles. 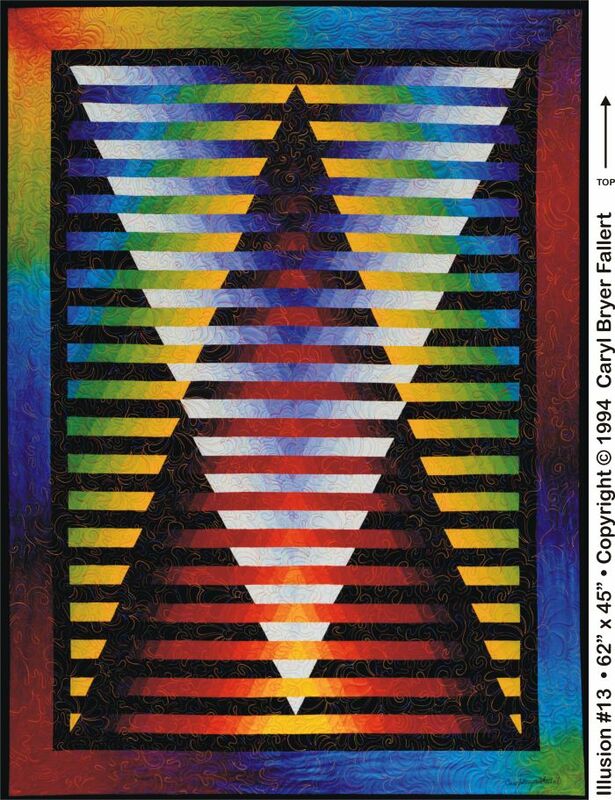 The triangles were pieced from strips of hand dyed fabrics arranged in gradations. 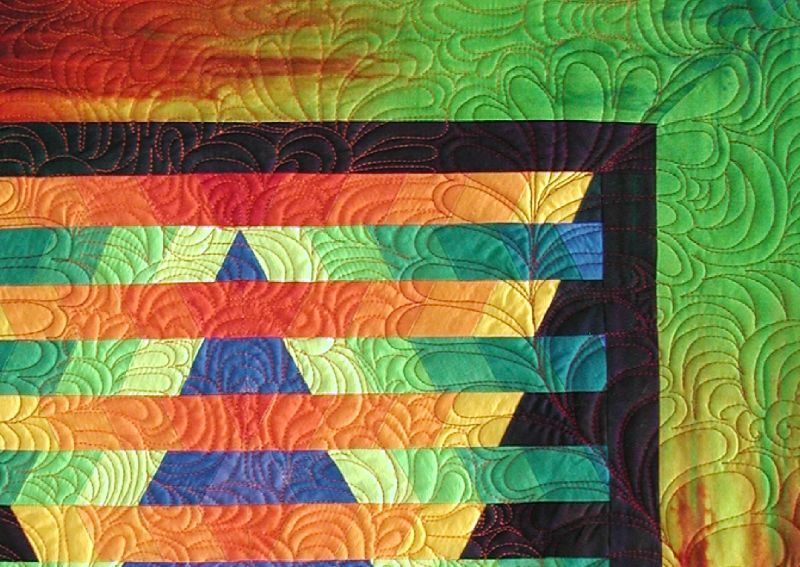 The quilting was done with variagated cotton top stitching thread. 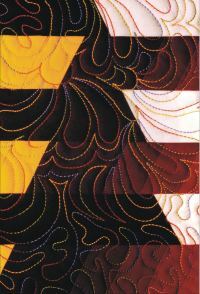 In contrast to the geometry of the pieced quilt top, is done in swirling, free-motion, organic patterns. 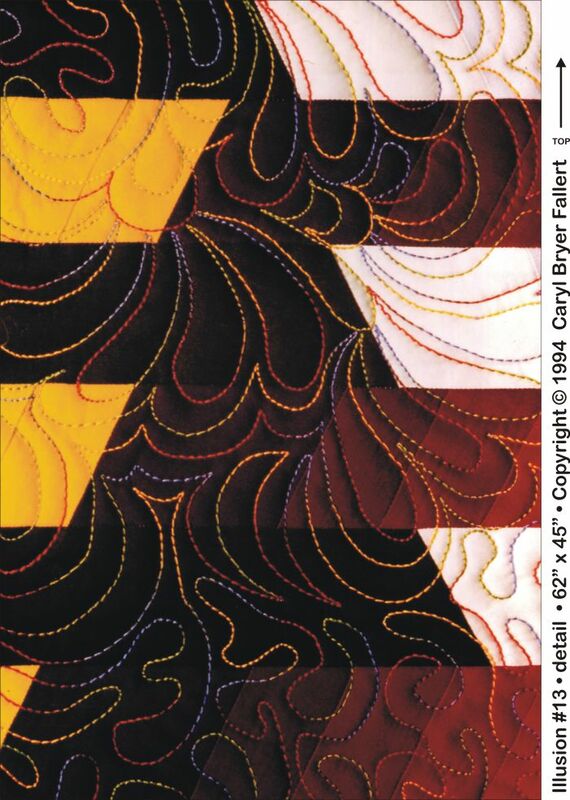 This quilt was made as a project chapter in a 1996 Rodale book about machine quilting (" EASY MACHINE QUILTING, 1996, Rodale Books pp. 170-178). The complete instructions for making it are in that book.